More than 25 million children in the U.S. are overweight, but at least 3 million children worldwide died of hunger and malnutrition in 2008. * Obesity is the 2nd leading cause of preventable disease and death, preceded only by smoking. Experts agree that in the last 30 years, childhood obesity has doubled or even tripled in many large countries such as the United States and Canada. Other countries on this list include Australia, Japan, Germany, Spain and the UK. Some lower and middle income countries, like Brazil, are battling both obesity and malnutrition. Every day, almost 16,000 children die from hunger-related causes. Adult obesity is also on the rise. According to the Centers for Disease Control (CDC), none of the 50 states met the “Healthy People 2010” obesity target of 15 percent. CDC data shows that in 2007-2008, approximately 72.5 million adults in the United States were obese (CDC, unpublished data, 2010). A study from 1987 to 2001 showed a 27 percent increase in medical costs for diseases associated with obesity. Obesity medical costs exceed $147 billion. The CDC also estimates that obese persons have medical costs $1429 higher (2008) than people with normal weight. On the flip side, Bread for the World estimates that worldwide, 178 million children under 5 have stunted growth, due to malnutrition. “Children who survive early childhood malnutrition suffer irreversible harm—including poor physical growth, compromised immune function, and impaired cognitive ability.” Many of these children live in sub-Saharan Africa and South and Central Asia. Bread for the World estimates economic losses in these countries as high as 2-3 percent of the GDP. Body Mass Index is an indicator of body fat, and may be used to determine overweight and obesity categories. 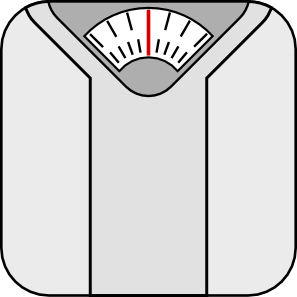 The CDC BMI Calculator, shown here, is for adults over the age of 20. Check with your doctor for overweight and obesity indicators for kids. The current American generation may be the first in our history to have shorter lives than do their parents. The average teen eats fast food twice a week. Only 3 out of 10 of high school seniors report eating green vegetables nearly every day or more. Almost one in four children does not participate in any free-time physical activity. A typical American youth spends approximately four to five hours a day watching TV, using the computer or playing video games. The indirect costs of obesity (such as missed work days and future earnings losses) have been estimated at $56 billion dollars per year. Children treated for obesity are roughly three times more expensive for the health care system than children of normal weight. Severely overweight people spend more on health care than smokers. According to the Centers for Disease Control, this can have both immediate and long-term health risks for children (and adults). Topping the list are risk factors for heart disease such as cholesterol and high blood pressure. Potential health problems are many: bone and joint problems, sleep apnea, social and psychological problems. Obese kids are more likely to become obese adults wither higher risks for heart disease, diabetes, stroke, arthritis and cancer. AACAP makes the following suggestions to combat this problem. *Stats from Clinton Foundation and Bread for the World.